Hello Spring and Happy Earth Day to all of you! Time to think about planting flowers, vegetables and cleaning up the garden. I love this time of year. Seeing the nature come to life makes me feel alive. I have daffodils and tulips that are popping their pretty little heads up reaching for the sky. How wonderful Mother Nature is to us at this time of the year! It is time to start planning your garden. I don’t plant a lot of vegetable gardening due to animals destroying them but we do plant tomatoes in upside hanging planters each year and I want to start growing sweet potatoes this year. I have already put my organic sweet potatoes in jars with water to start new sprouts to plant. My Mother and sister have a rather large garden that I help with and we share the fresh vegetables. We make sure we do it the organic way! I do grow a lot of flowers and get so much joy from watching them grow from a tiny seed or bulb into beautiful blossoms filled with brilliant colors and sweet aroma. I grow many flowers — from every color of day lily or tall star-gazer lilies, Black Eyed Susan’s, Daffodils, Tulips, bushes of aromatic Lilac’s, roses, cosmos, Butterfly bushes and many more. I love all of them because they each have their own special beauty. Last year I started planting peppermint a wonderful flowering and healing herb that thrived for me and I found many uses throughout my home. I already see new sprout of peppermint popping through the moist soil and I am considering trying to dry it this year to last throughout the winter. Growing plants whether they are produce or flowers all help to fulfill a need within my heart. Seeing plants grow helps me have hope for this world of ours that is filled with some much turmoil and hate. I can see God’s handy work right in front of me every day and that is such a blessing. Gardening is good for you physical, emotional, and spiritual health. Organic gardening is a great way to reduce stress and unwind from our stressful lives and jobs. It is a great low impact form of exercise and can help keep you young. The fresh air and sunshine is healing. Sunshine provides us with vitamin D that is essential for good health. Organic gardening provide us with a fresh source of produce and/or beautiful flowers and healing herbs. Getting our hands dirty is a way of reclaiming the primal state of our heritage and working in the garden can help you spiritually by connecting with nature and our creator. Gardening can give us a feeling of accomplishment, knowing that you are providing fresh organic produce that you know is not filled with harmful toxic chemicals or pesticides for your family and can save you lots of money on your grocery bill. Growing your own vegetables or flowers can help your outlook on life because it helps us feel useful and we can reap the benefits of our labor in so many ways. I believe that organic gardening is vitally important to our environment and health. If you don’t think its important to have Heirloom Non-GMO organic produce and non-GMO food just check out these 65 health risks and dangers of GMO’s and dangers to the environment. Provide the best of the best by using heirlooms seeds that can be saved from year to year and generation to generation. If you don’t have your own stash check Mary Heirloom seeds website or go to Mary’s Facebook page to learn all about organic gardening. So why not try just a few plants this year whether it is flowers for their beauty, herbs for healing, or produce for food. Show your concern about pollution of the air, water, and soil, and about protecting the health of our families and communities. Teaching your children the importance of organic gardening and having a healthy diet without chemicals helps them learn to appreciate and become good stewards of nature and the environment. Teach them that Nature can provide us with what we need if we learn to utilize the tools that are there for our use. It can make a big difference in the future of our planet and our children’s future. I recently received a supply of seeds from Mary Heirloom seeds and I will be planting these seeds in honor of Earth Day on April 22nd. I believe we should do at least one thing to show our appreciate to Mother Nature and our God on Earth Day whether it is plant a tree or flower, start recycling and reusing, start composting or gardening, even planting one seed can make a difference. So you decide what you what to do this Earth day and leave a comment to share with others how you’re going to celebrate Earth Day! Pingback: What Produce Should You Always Eat Organic? Yay for organic gardening! Isn’t Spring just the most wonderful time of year? I cannot wait to plant my herb garden every year and a few flowers. I want to try to squeeze in some veggies in my postage-stamp backyard too. Thanks for the tip about Mary’s heirloom seeds. Yes Spring is a wonderful time of the year and I hope your garden does really well for you this year. You could try some vertical gardening since you have a very small area and then maybe you would be able to grow some veggies. Have a healthy happy day! Lovely Cosmos! A great and informative post. I am happy to read this! Having an organic garden is probably the greatest gift that we can give to ourselves and our families. You are so fortunate to have a family garden from which to share produce. Thank you for enlightening us about benefits of organic gardening at the Healthy, Happy, Green and Natural Party Blog Hop! I’m pinning and sharing! I agree with you – I am lucky to have the family garden. Glad to be part of Healthy Happy Green & Natural blog hop. Thanks for sharing! 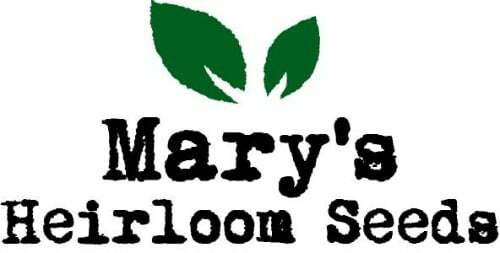 I will check the seeds out through Mary Heirloom, sounds like a good company. I sent you a message through your contact page the other day. Did you get a chance to read? Please let me know either way. Thanks, Happy Earth Day ! Thank you for reading my article and commenting. No I did not get the message – occasionally a message goes into my spam folder and it gets accidentally deleted. Please resend it to me. Happy Earth Day to you too. I just sent you an e-mail so please check it. Thank you! We hosted a seed planting Party over the weekend nd we’ll be planting more seeds this Earth Day. Great Post!